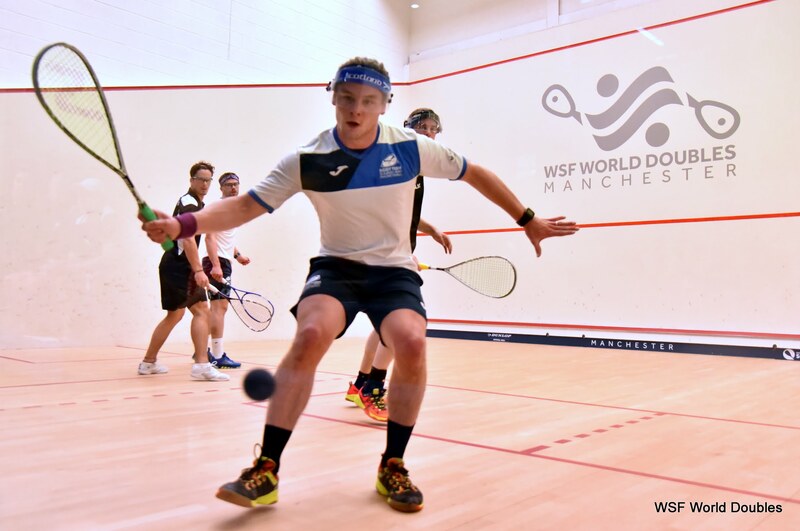 Defending men’s doubles champions Alan Clyne and Greg Lobban are through to the quarter-finals of the 2017 WSF World Doubles Squash Championships after two opening day wins in Manchester. The pair won both their Group A matches without dropping a game, seeing off Indian pair Vikram Malhotra and Mahesh Mangaonkar in the morning 11-1, 11-6 before defeating Malaysia’s Adnan Nafiizwan and Ivan Yuen 11-3, 11-8. They take on Dutchmen Dylan Bennett and Piedro Schweertman at 11am on Wednesday in their final group match. In Group C, Kevin Moran and Doug Kempsell lost a tight opening match against Kiwi champions Paul Coll and Campbell Grayson, 11-9, 11-6. They’ll look to return to winning ways tomorrow afternoon against Canadian duo David Baillargeon and Shawn Delierre. In the women’s doubles, Carrie Hallam and Lisa Aitken impressed in defeat against strong English pair Laura Massaro and Sarah-Jane Perry, going down 11-6, 11-10, before this evening seeing off South African pair Alexandra Fuller and Cheyna Tucker 11-7, 11-8 in Group D.
Tomorrow they take on sixth seeds Jenny Duncalf and Alison Waters who came from 1-0 down to beat Massaro and Perry  in an intriguing English battle. 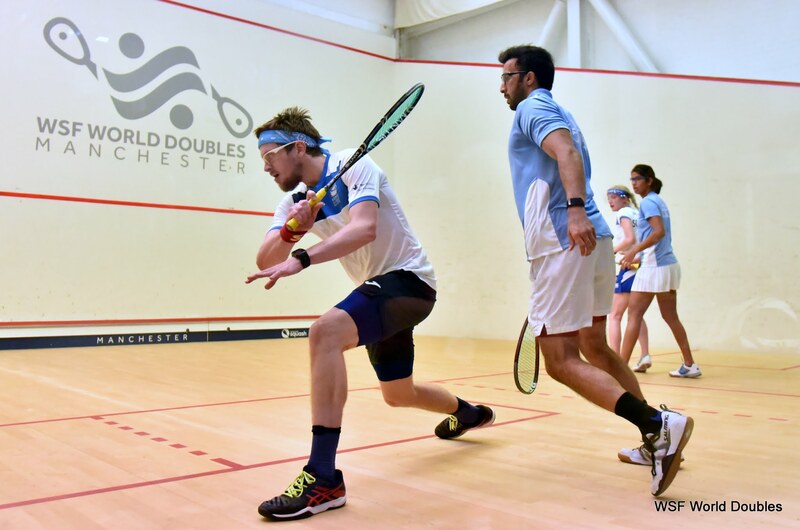 Having trailed 9-7 in the second, the lower seeds fought back to claim the victory 7-11, 11-10, 11-6. 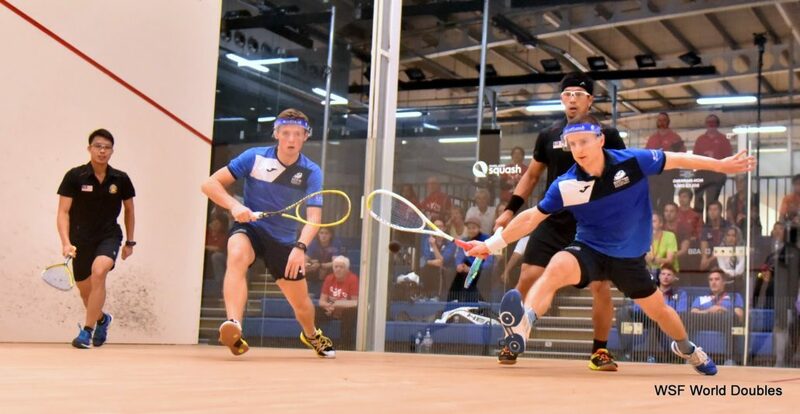 Aitken and Kempsell teamed up in a Mixed Group A match this afternoon and comfortably defeated Welsh pair Joel Makin and Deon Saffery, 11-3, 11-3. They next face top seeds New Zealand’s Joelle King and Paul Coll tomorrow at 11am. 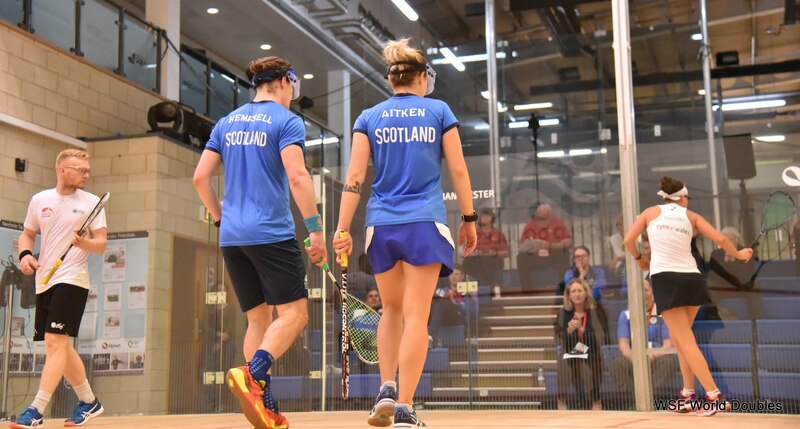 In Mixed Group C, Carrie Hallam and Chris Leiper lost out to India’s Vikram Malhotra and Joshna Chinappa, 11-5, 11-6. They will now take on Australian’s Cameron Pilley and Donna Urquhart tomorrow evening, around 7.30pm. Elsewhere, Malaysia’s Rachel Arnold and Nicol David defeated third seeds Rachael Grinham and Donna Urquhart 2-1 in the biggest upset on the opening day in a women’s Group C clash. 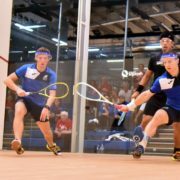 Eight-time world champion David and Arnold ran out eventual winners with an 11-10, 9-11, 11-8 scoreline against Urquhart and Grinham – winner of two gold medals in doubles competition at the 2014 Commonwealth Games.